In 2018 Valletta received the title of the European Capital of Culture. In this regard, the European Foundation for Support of Culture organizeв a number of big projects – “Days of Maltese Music ” all around the world. 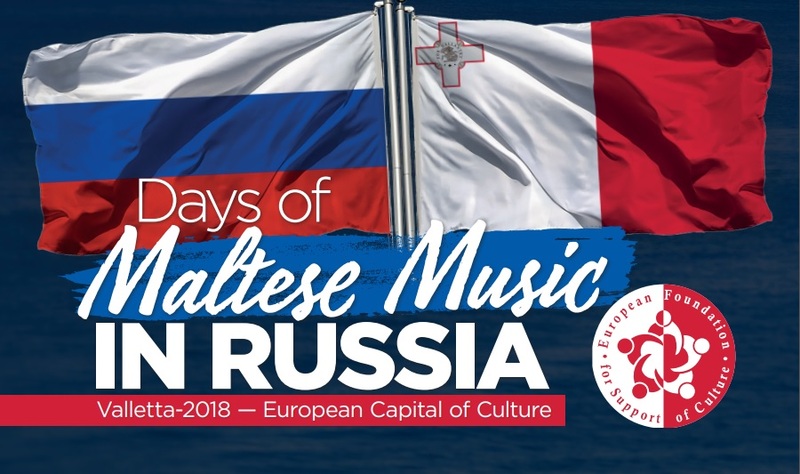 From March to November “Days of Maltese Music” –would be held in the best concert halls of Moscow, St. Petersburg, Sochi, Krasnodar, Tyumen, Omsk, Bryansk, Ryazan, Chelyabinsk and Kazan. The Days of Maltese Music project would be held by the EUFSC with support of the Association for Support of Cultural Initiatives. The project unites famous Maltese and Russian musicians. Alexey Shor, Albert Garcia, as well as music of famous Russian composers and others. including popular TV and radio broadcasting stations.